Imagine your standard text 'Find and Replace' option. You open your text file, and replace any instances of a word into another. Imagine that this feature works over multiple text files at the same time. That would be a very handy feature to have! Now stop imagining things and look at Mass Text Replacer. 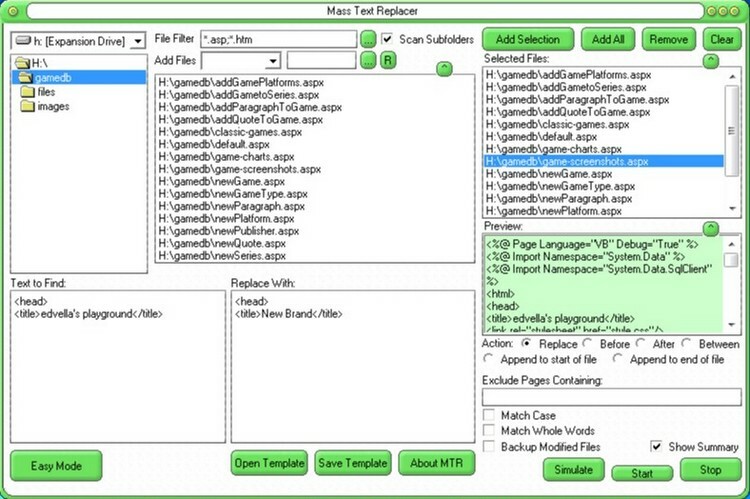 This program can change any text you can think of, on all of the files that you want. And it's extremely easy to use! Mass Text Replacer is one of the essential tools that you should have in your toolbox. When you need to do any sort of text manipulation work, this program will make your life easier.